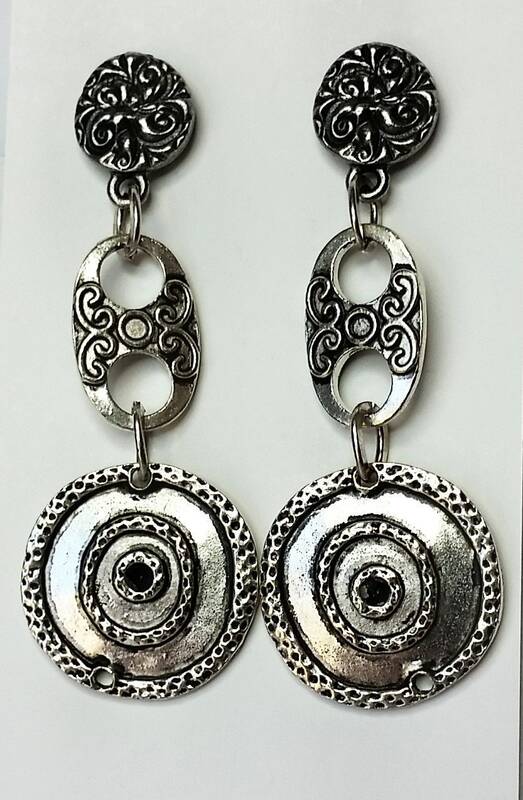 Unique chain links (concentric circles with raised design and oval double holed decorated connectors) dangle from silver plated earring posts. 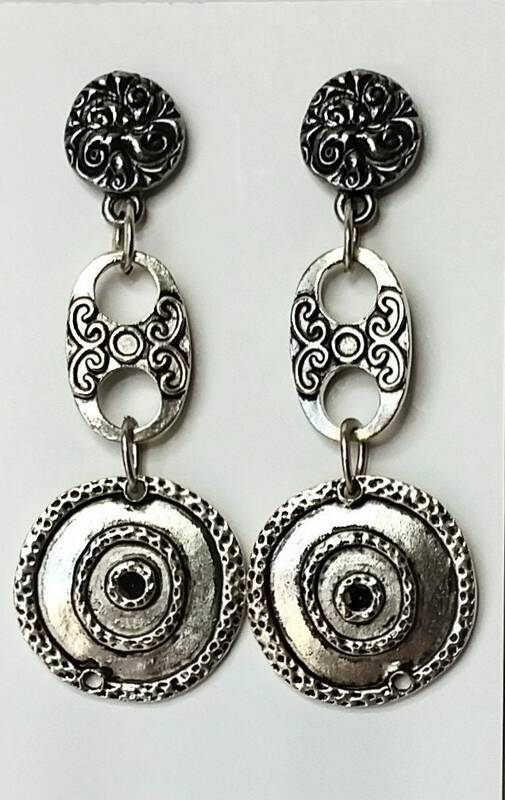 The posts are Tierracast Jardin pattern in antique silver with a 10 mm flowery coin shaped disk. The chain links a la TheLipstickRanch.com, are from some of the Lipstick Ranch's coolest chains!